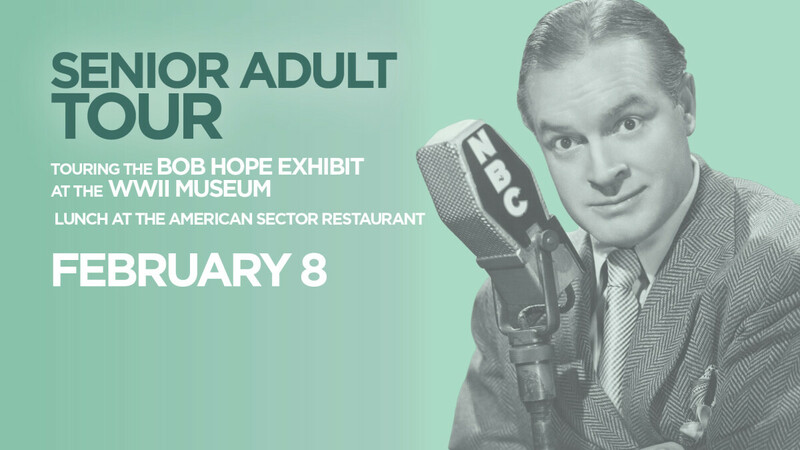 We will tour the Bob Hope Exhibit and the WWII Museum. Tour cost is $22. We will also enjoy lunch together afterwards at The American Sector Restaurant. The church vehicle will leave at 9:30 am. RSVP Diane at 504.482.5775.